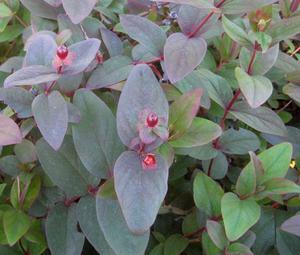 The sensational new foliage of red-purple matures green. The yellow flowers produce red berries which eventually turn black. Highly ornamental.